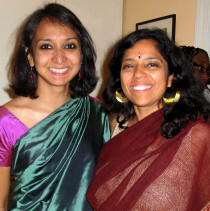 Nandita and I have spent two days this week (first in New York and then in DC) working on a video for our Kickstarter campaign. 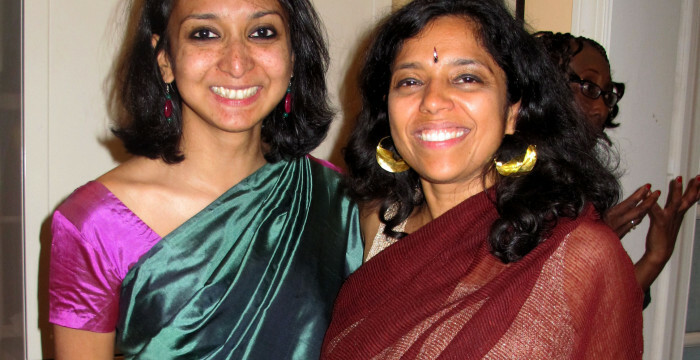 Then we had a Spring Sari Party to Celebrate Storytelling with Saris on Saturday May 4 at my home in DC. It was lovely to see old friends and meet lots of new ones! I gave a presentation about the project with slides and Nandita showed her wonderful “teaser” for the Storytelling with Saris film. I have received so many emails from those who attended the event expressing huge enthusiasm for the project! You will be getting updates from us soon on performances in June and the film.